Centennial Planter was made by Jerry Werner in 2004. Centennial Planter is installed close to an old log deck along the Deschutes as a tribute to the region’s deep roots in the logging industry. 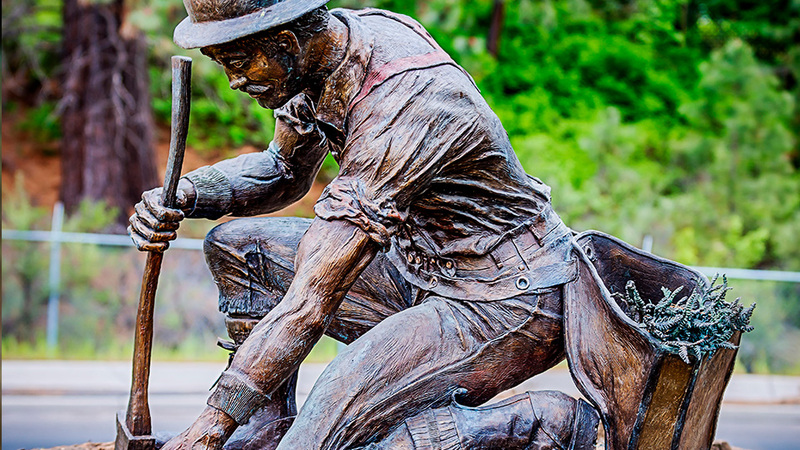 Combined with Centennial Logger, Bend-based artist Jerry Werner created the two pieces to represent the cycle of life. Werner’s bronze pieces start out as master clay sculptures, allowing him to capture the smallest details. We love the seedinling in the hip pouch, just waiting to be planted. Lucky little trees.